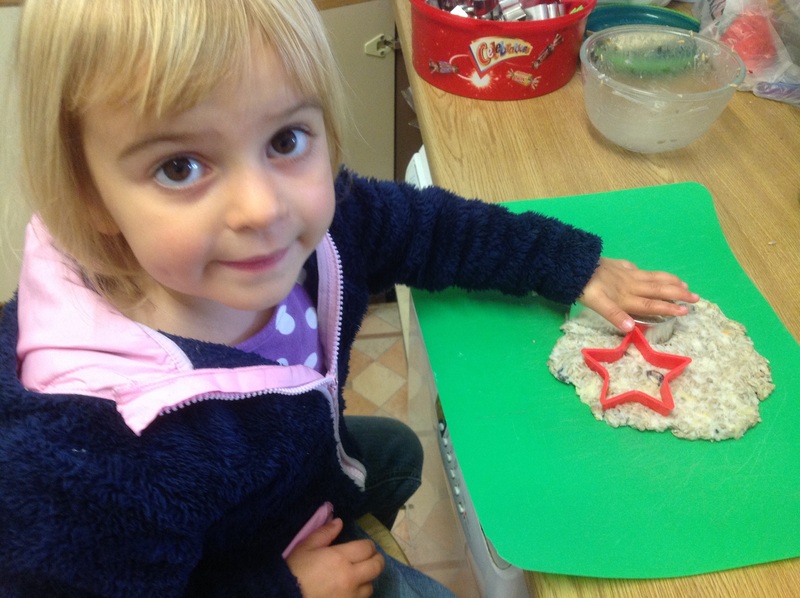 At the start of the new term there are usually few anxieties starting nursery and school. One of the mums at Bible study had a great idea that before her daughter goes into school they talk about her worries. Her daughter then hands over all of her worries which she puts in her pocket promising to flush them down the toilet. Our ever wise group leader suggested we could also say that we can give our worries to Jesus. This along with a few songs (see below) and lots of cajoling has been a great idea and has encouraged my daughter to chat about feelings as well as giving her something tangible to do. Fairly self explanatory really. 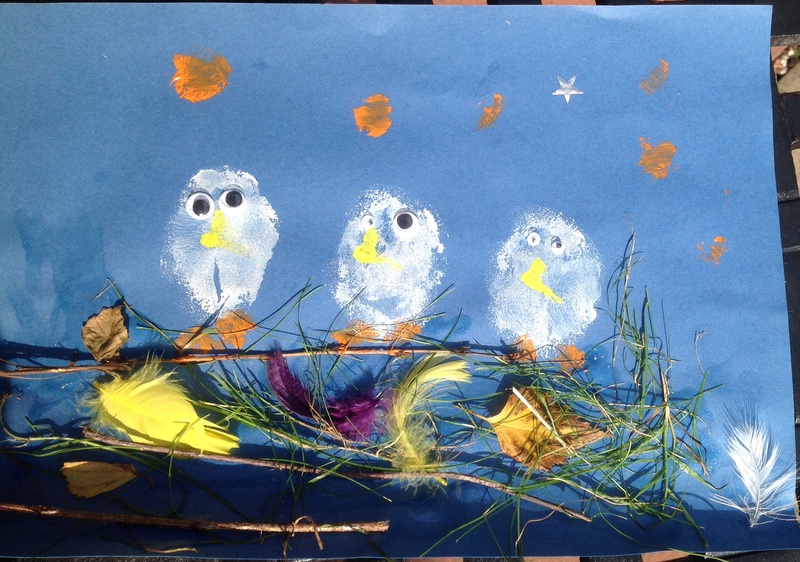 We used a bit of glue to stick down some grass, leaves, twigs and feathers then got a sponge and painted the owls, stars, beaks and feet (forgot about wings). While she was painting we talked about how the owl babies were worried about their mum not coming back. Lastly we added the googly eyes. The different sizes for older, middle and younger owl was Esther’s “unique” idea! 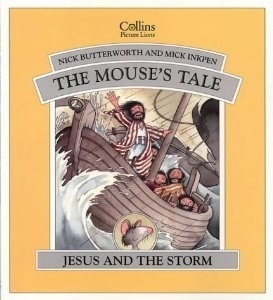 Story of Jesus calming the storm (most children’s bible books have this story. I like Nick Butterworth’s version, “A mouse’s tale” written from a mouse’s perspective. Great for preschool. We added in a bit of noise and action using a rainmaker when telling the story. I read out the verse from Matthew 6:25-26 (See below) to all the kids and reminded them Jesus told his followers not to worry, that He was interested in every part of their lives and would provide for all their needs. We then made some bird feeders. 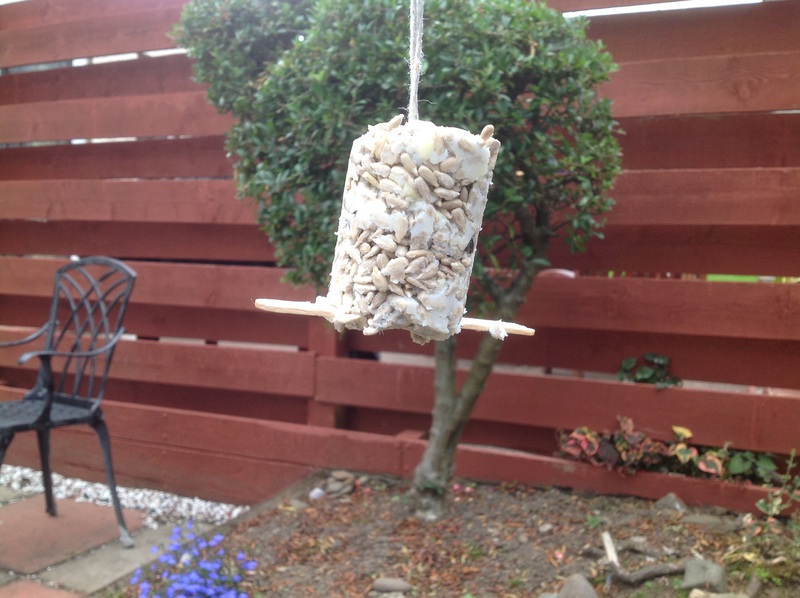 I used the recipe from RSPB for the big feeder and we also made some shapes and put a hole at the top to put string through to hang up. We wanted to share the love for birds around so gave some away to granny and neighbours. This is a great animation featuring Toby who is frightened to go to bed after watching a scary movie. He meets up with Jesus who gives him a special gun that fires words, but not any words. They fire verses from the word of God. Great! 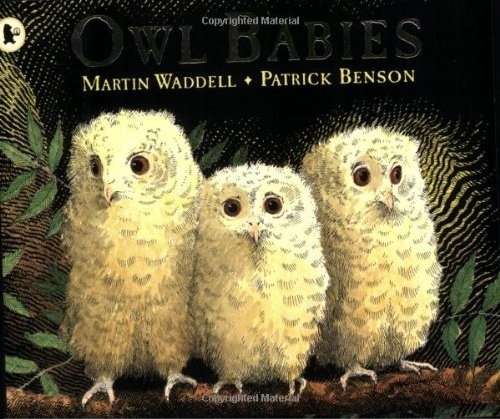 My 3 year old has just started nursery and their first topic was based on the book “Owl babies” by Martin Waddell. The story is about 3 baby owls who are anxious about their mother who has gone away. As I was scrolling Pinterest for ideas on the theme I came across some bible related activities on anxiety that gave me some ideas for a story sack. One of my recent challenges has been how to “pray the scriptures” and at a bible study recently we were looking at Psalm 3 written by David who is running for his life as his son Absolom has made a claim for the throne. He is scared, downcast and disheartened. BUT like the other psalms of David he chooses to trust in God. The bible is full of people who worried. A couple of weeks ago I was visiting a church where the pastor was talking about Hagar in Genesis 16 and how God not only hears prayers, He also intervenes. Often, like with Hagar He throws us back into the midst of difficulty with renewed strength and the knowledge that He is with us. The pastor pointed out that David describes God in Psalm 23 as his Good Shepherd, leading him beside still waters and restoring his soul. Importantly David also recognises that “the valley of the shadow of death” is not actually the wrong route. Jesus Himself promised us that in this world we will have trouble. But rather than leaving us hopeless He encourages us to take heart because He has overcome the world (John 16:33). In the midst of our trouble, He is there.